Agatha Christie was born in 1890 and created the detective Hercule Poirot in her debut novel, "The Mysterious Affair at Styles" (1920). She achieved wide popularity with "The Murder of Roger Ackroyd" (1926) and produced a total of eighty novels and short-story collections over six decades. Twenty-four of Christie's best whodunits are now available from Black Dog & Leventhal as part of their bestselling hardcover Agatha Christie Collection. 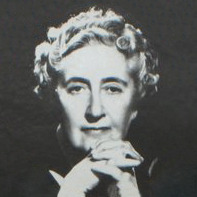 The following is a personality profile of Agatha Christie based on her work. She is intermittent, she has a hard time sticking with difficult tasks for a long period of time. She is laid-back as well: she appreciates a relaxed pace in life. But, Agatha Christie is also carefree: she does what she wants, disregarding rules and obligations. A good acquisition for my daughter's library.